This is a sponsored post written by me on behalf of Glad & M&M’S® for IZEA. All opinions are 100% mine. And three times for the win…another version of crack. Let’s just get the record straight–it’s crackers. Crack for the crackers. 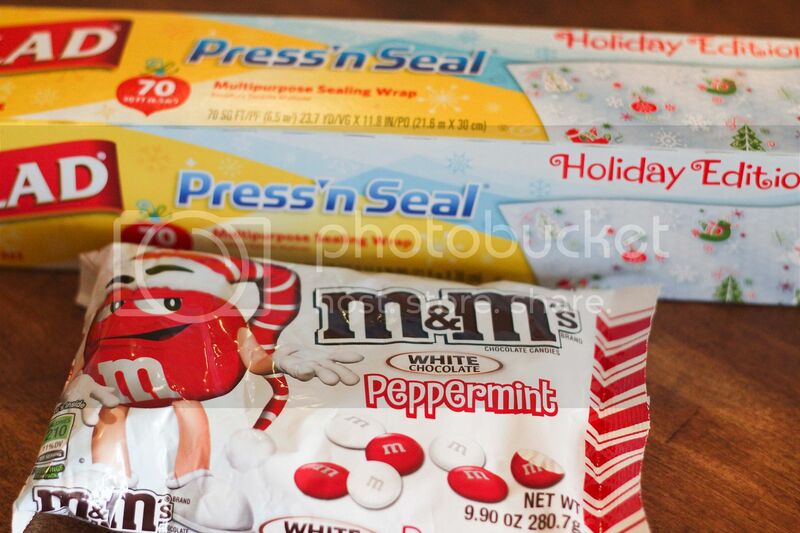 Today’s version (chocolate peppermint crack) is brought to you by M&M’S® and Glad Holiday Press ‘n’ Seal. I went to Target and got all my stuff-the M&M’S® White Chocolate Peppermint, the Glad Holiday Press ‘n’ Seal, the chocolate chips, etc. These two shown below are only available at Target. This recipe is so easy and hard to mess up. And the best part is that it is so. freakin’. good! Everyone I have made it for just loves it. And an awesome addition to any goody plate for the neighbors. First you line a jelly roll sheet with parchment paper. Then line that with Saltines. Start melting 1 1/8th cups of butter in a saucepan on the stove. Mix in 1 1/8th cups of brown sugar. Melt them together and bring to a boil. Boil for two minutes and then pour over the Saltines and spread evenly. 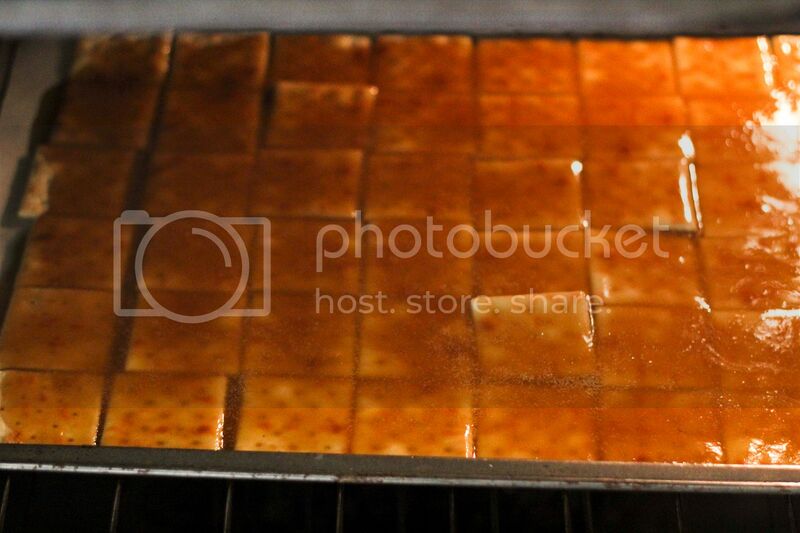 Have your oven preheated to 400 degrees and then bake the Saltine/caramel mixture for about 6 minutes. 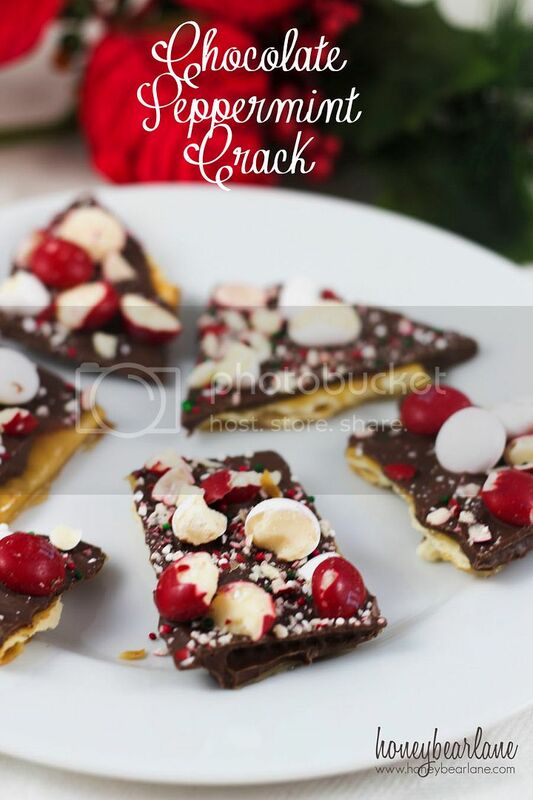 Let it cool a bit, then melt your bag of chocolate chips and spread it over top of the toffee/cracker base. 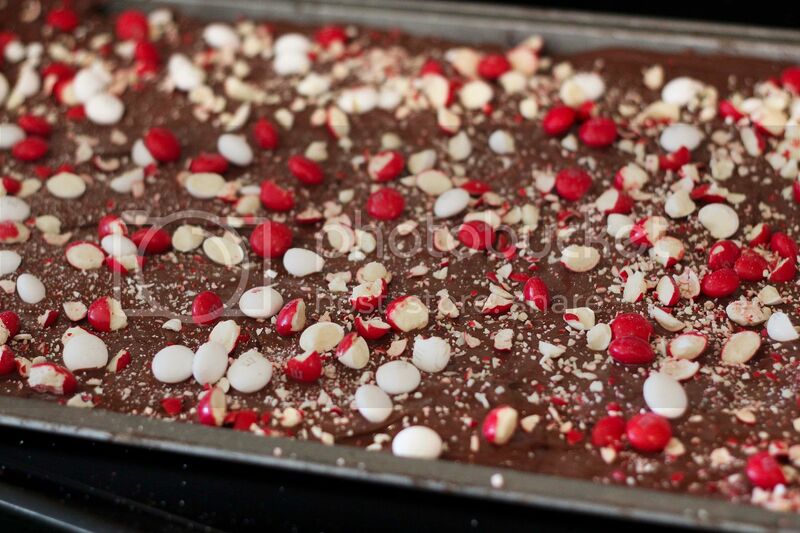 I cut up the M&M’S® White Chocolate Peppermint and smashed a few of them too and sprinkled them all over the top. I also sprinkled some Christmas sprinkles on top. Then you refrigerate it for a couple hours and then you can break it up into pieces. And you’ll be glad that you used that parchment paper! 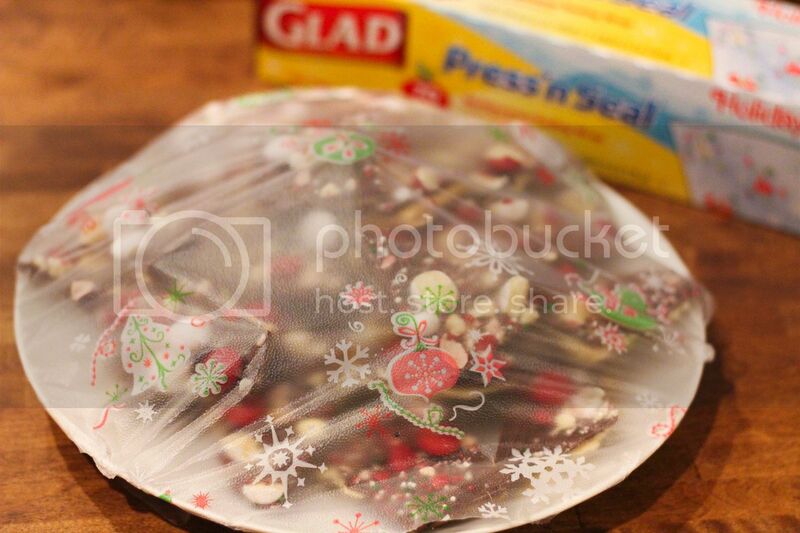 I put pieces of this delicious treat on some plates and wrapped them with the Glad Holiday Press ‘n’ Seal. I gotta say, I love this stuff. I just sticks so perfectly without sticking unmercilessly to itself. I also decided to make another M&M’S® recipe that I found on the back of the Glad box. 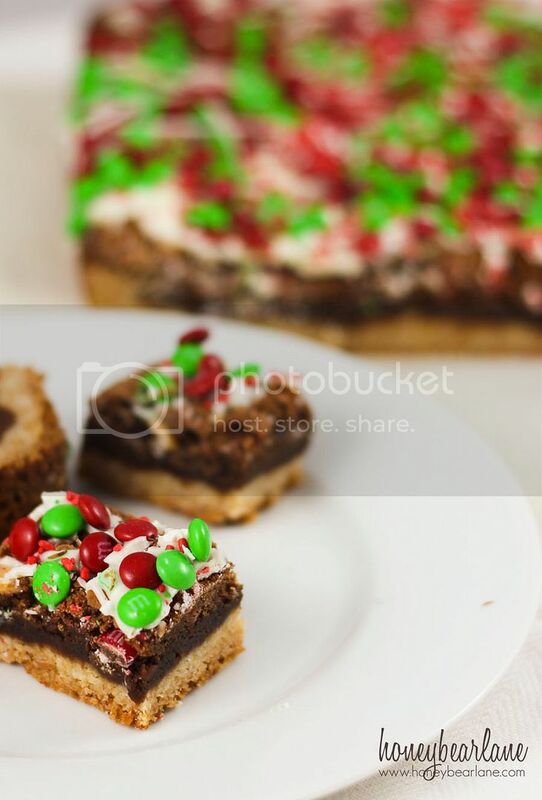 It’s for a layered cookie bar–so yummy! I changed it slightly by using M&M’S® Baking Minis and leaving the mint out. 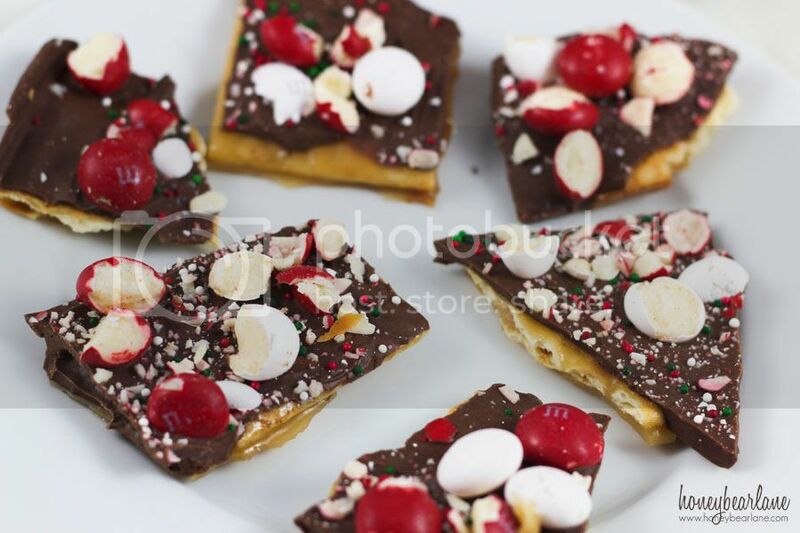 You can find the recipe on the box of Glad Holiday Press ‘n’ Seal which is only sold at Target. What are you baking for holiday goodies this year? What are some of your favorite M&M’S® recipes?